CONSIDERATE—You consider others’ feelings, not just your own. You wouldn’t knowingly hurt someone’s feelings. You probably have strong feelings about child abuse and mistreating innocent pets. SENSITIVE—You sense others’ problems. You notice if a friend is worrying about something and you’re willing to help them any way you can. POSITIVE—Oh, I hope you are a positive thinker. I believe positive thinkers have a better chance at happiness. I said chance. I’m not promising a bed of roses if you think positively. But it sure doesn’t hurt to try. HOPEFUL—As my blog heading above says, I try to scatter hope as I go along my journey. I hope you try to do the same. ENTHUSIASTIC—When Jesus was rounding up his apostles, we’re told in the Bible that the men didn’t stop to ponder or wonder if they should, they just dropped what they were doing and followed Jesus. They were glad to follow Him. They became enthusiastic about Jesus’ cause. I try to show my enthusiasm. SENSE OF HUMOR—Yes, I love to laugh. I enjoy others’ laughter. I like good clean jokes (and I have one in each of my newsletters). We’d do well to lighten up on our journey through this life. All work and no play ……. PATIENT—This is one I work every day to improve. No matter what you do, some days try your patience to the point of losing it. I have times like that but I try to be quick to recognize it and to ask God to forgive me and help me in the future. Well, in how many of the above are we alike? You may be wondering what kind of Thursday blog this is and just what my point is. Well, you and I may have similar traits that cause us to look at things somewhat alike. In my writing anyone can probably find most of the above. I promise you that in my debut novel, That Summer, you’ll find all the good traits listed above. The opposite of the things listed above are also in my novel. Nobody is all good or all bad all of the time. I encourage you to read That Summer and find out which of my characters you like and which you don’t like. And maybe those you may start out not liking will become likable and vice versa. If you haven’t read my novel yet and would be willing to be an influencer for it, please let me know in a comment below and I’ll include your name in a drawing for five winners of a free paperback copy. What is an influencer? That’s someone who reads and enjoys a book and is willing to post a 2-3 sentence review of the book on the book’s page at online bookstores, specifically Amazon.com, Barnes & Noble.com, and CBD.com. In your reviews never give away the end of the book (in reviews of That Summer—don't give away the endings of Part I and Part II). Since my novel is a new release, please put up your reviews soon after you finish reading the book. If you are an influencer, read the book, and don’t enjoy it you need not do anything. Those of you who have already read That Summer and enjoyed it, I’d appreciate it if you’d write a short review and post it on the book’s page at online bookstores. So there you have it—this strange Thursday post. Please let me hear from you in the comment section below. I will draw five winners from the names of you who comment saying you would be willing to be an influencer for That Summer. Thank you for being willing to do that. 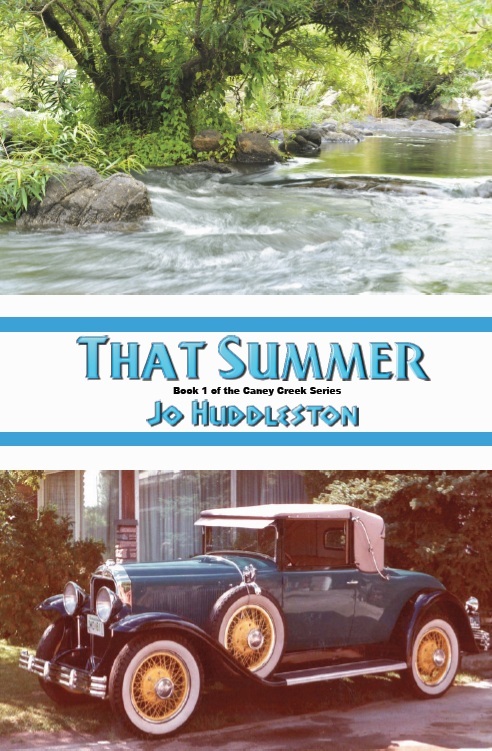 When you leave a comment on THIS post by 6 p.m. CT Sunday, February 24, 2013 stating you'll be an influencer for my debut novel, That Summer I will include your name in a drawing for 5 winners of a paperback copy of That Summer. If you mention in your comment that you’re a follower (see in the left column “Join This Site” and “Follow by Email”), I’ll add your name a second time in the drawing. You must be eighteen, have a U.S. mailing address, void where prohibited. Please remember to leave your email address so that I can get in touch with you should you be one of the five winners. I will announce the winners on Monday's blog post. You can read details about my book giveaways at Disclaimers. Jo, I would love to be an influencer for you. Deanna, thanks for your comment and offering to be an influencer for my novel. I appreciate your being a follower. Your book sounds interesting. I'd be willing to be an influencer for you. Pam, thank you for saying you'd be willing to be an influencer for my novel. I appreciate your being a follower. I too would love to be an influencer for you. However, I will also tell you that I have 2 1/2 books to read and review before I could start on "That Summer" if I am selected. Of course by the time I would receive the book I will already have the one book finished and reviewed. So, if you think this is acceptable please throw my hat in the ring. You can also check out my reviews on Amazon under (Sunshine) Judy K Burgi. I am an email follower and a GFC follower too. Judy, thanks for your comment. If you win your timing will be okay with me. I'm glad you're a follower. Marianne, thanks so much for offering to be an influencer of my debut novel That Summer. I'm glad you came by and left a comment. Ann, thanks for being willing to be an influencer for my novel,That Summer. So glad you're a follower. Hi Jo! I would love to read your book. I read all of your posts and I think they are great. I'm definitely a follower! Wanda, you're welcome. Thanks for offering to read my book. I appreciate your being a follower. Glad you came by and left a comment. Veronica, I'm glad you're a followerer--thank you. And thanks for offering to be an influencer for my book. I'm glad you stopped by and left a comment.